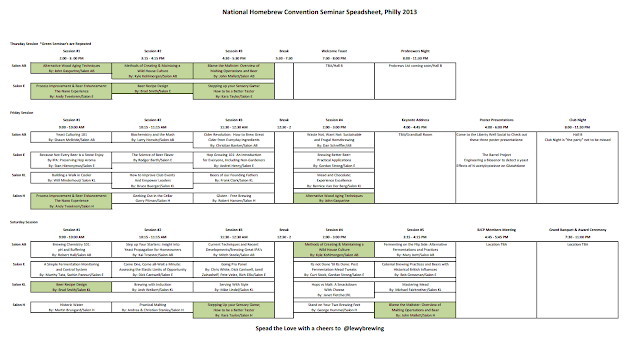 I was looking at the seminar's for the upcoming National Conference in Philly and I really didn't like the layout the American Homebrewers Association gave us. It was listed, out of order and choppy to figure out what was happening and when. I started to create a timeline for each day. 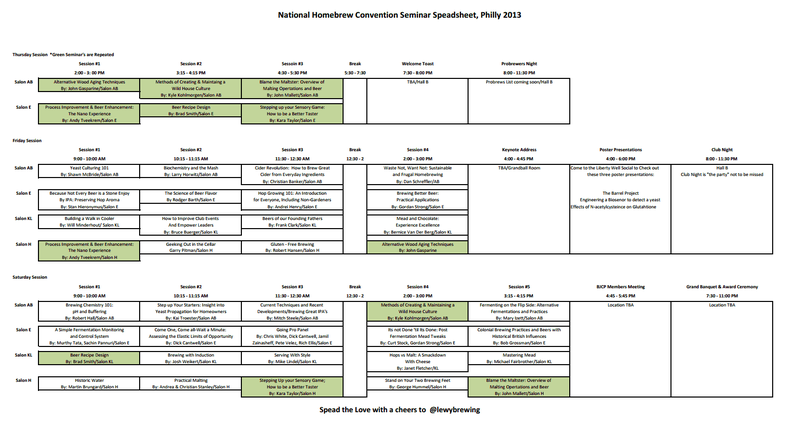 Nothing over the top, but I hope this will make your time at the conference a little easier. Here is the pemalink to my Google shared site. Or if you want the excel file, Email me and I'll send it to you. Feel free to pass this around and look for me at the conference.